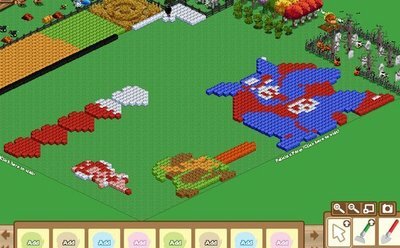 Personally, I haven’t really been into any Facebook game outside of Mafia Wars, but if someone is bored and has a lot of free time, you could make what you see above. A user know as Zuseezusee posted this up on Funnyjunk and it’s created in FarmVille. While I personally despise this game, I will say that seeing this is making me want to rethink my stance. 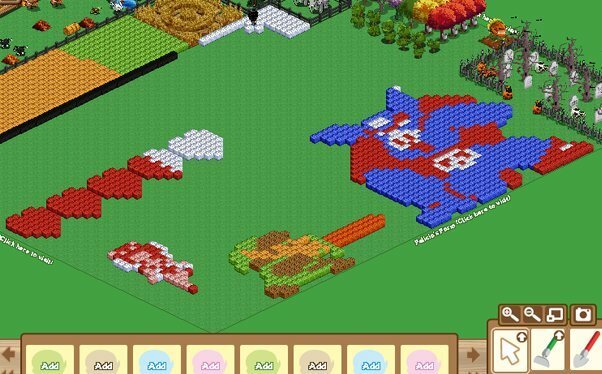 In the spirit of this discovery an admin at Zelda Dungeon threw together a few more of his own FarmVille examples. Speaking of facebook, why not become a fan of our page?